Luke Bryan's reign atop the Digital Country Singles Sales Chart continues with the All-genre Top 10 hit "Play It Again." Luke Bryan “Play It Again Remains Top 10 in All Genres, just outselling Aloe Blacc’s “The Man” this week. 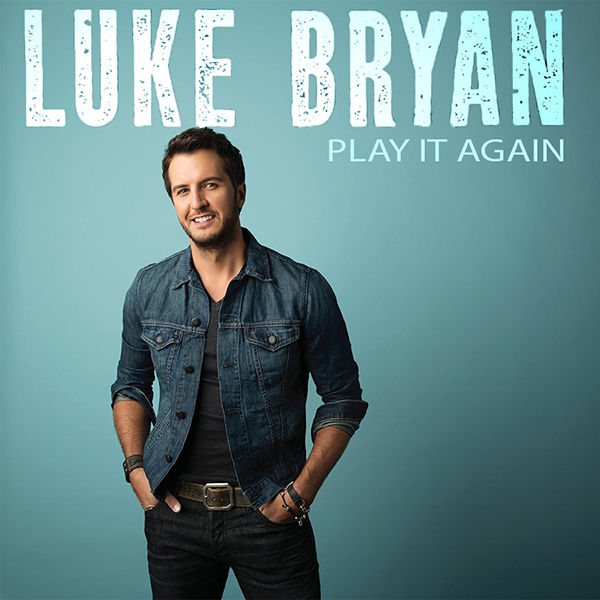 Luke Bryan leads the way this week -- Again -- with “Play It Again.” The single, which only hit Gold last week (only being relative) is already up over 725k sold in the track’s sales run to date (RTD) (and is still top 10 in all genres with the single). #2 also features Luke Bryan but it’s for the Florida Georgia Line song “This Is How We Roll.” The duo and Luke have now sold 939k copies of the single since it hit stores 22 weeks ago. “Bottom’s Up,” Brantley Gilbert’s lead single from his upcoming album, has sold nearly 1,000,000 downloads and is no doubt eligible to be certified Platinum (and certainly will be by the end of the month when the RIAA reports the monthly certifications. Eric Church, whose “Give Me Back My Hometown” hit Gold eligibility this week, something his album’s title track also has just achieved. Eric’s fellow UMG Nashville labelmate Keith Urban slides back into the Top 5 with “Cop Car” and it, too, is Gold, having surpassed the mark last week. With sales now over 600k, Jerrod Niemann’s run to the top of the charts with “Drink To That All Night” is a certifiable success. The song is in its second week at #1 on the Radio Airplay charts. Jake Owen’s latest hit “Beachin” is quickly becoming a front-runner for the 2014 Song of the Summer and it sits at #7 with 277k sold, the number which is only 1k more than the #8 song, Miranda Lambert’s “Automatic.” Sitting at #9 is Dan+Shay with their debut single “19 You+Me,” a song which hit Gold last week. The final song in the top 10 is Dustin Lynch’s “Where It’s At.” This is the gihest debut of Dustin’s career with the single having sold 34,000 tracks this week (Yep Yep). The notables starts off this week with Rascal Flatts’ “Rewind.” the former Top 10 single has now sold 421k tracks and will most-definitely scan Gold in the next week or two. Right behin them is the Gold single “Get Me Some Of That” From Thomas Rhett and Lee Brice’s riser of the week, “I Don’t Dance.” Tyler Farr’s Whiskey In My Water” is quckly gaining in sales with a 27% sales boost this week while Frankie Ballard’s “Helluva Life” is set to join labelmate Blake Shelton with Gold next week. Rounding out the rundown this week is Joe Nichols’ “Yeah,” which makes its Top 30 debut this week and Chase Rice’s “Ready Set Roll,” a song which hasn’t been Top 30 since its release week last fall. Chase has sold 311k copies of the single which is also in the Top 40 and rising on the mainstream radio charts.